​The ​MLB is actively trying to make ​changes in order to appeal to the younger generation of sports fans, and the league's main goal is to speed up the pace of play. 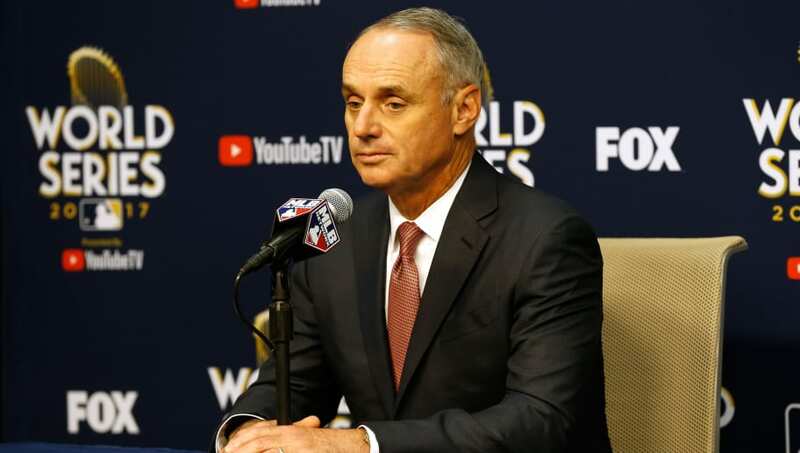 The MLB and MLBPA have announced their on-field agreement and released the series of ​changes coming to the league over the next two seasons. ​Inning Breaks are to be reduced in both local and national broadcasts. The reduction is from 2:05 to 2:00 in local games, and 2:25 to 2:00 in nationally televised games. The maximum number of mound visits allowed to each team has been reduced to five, from six. The league will eliminate the waiver trade deadline and instead make July 31 the official deadline. Players will be able to be placed ​on outright waivers after July 31 but players may not be traded after that date. The amount of players on an MLB Active Roster from Opening Day to August 31st and the postseason will increase from 25 to 26. The minimum number of active players will increase from 24 to 25. Doubleheaders will allow a 27th roster member. Elimination of 40-man roster limit in September. After September 1, teams must carry 28 players; September call-ups are, by and large, done. The amount of pitchers allowed on a single roster will be capped, though the number has yet to be determined. Clubs must designate each player on the roster as a pitcher or position player prior to said player's first day on active roster. The designation cannot be changed. Players will be able to be listed as a Two-Way Player if they have accrued at least 20 Major League Innings pitched as well as 20 Major League Games started as a position player or DH. Minimum number of batters faced for pitchers will be set to three, or the pitcher must throw until the end of the half-inning (with exception for illness/injury). Goodbye, lefty specialists! The minimum stay on the Injured List will be increased from 10 to 15 days and the minimum assignment period of pitchers to the minor league ​will also increase from 10 to 15 days. And you've got one more glorious season before the dreaded three-batter rule hits.